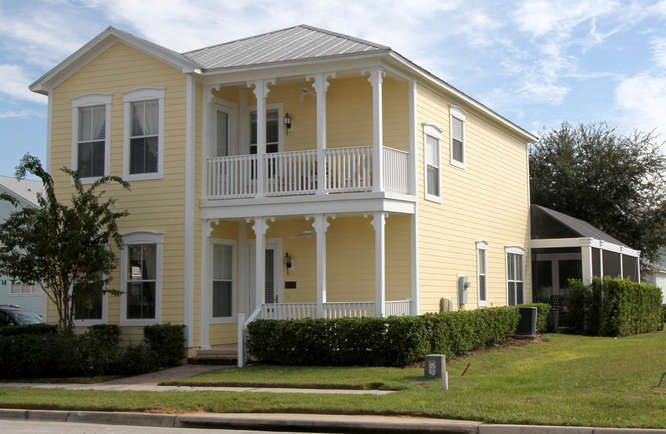 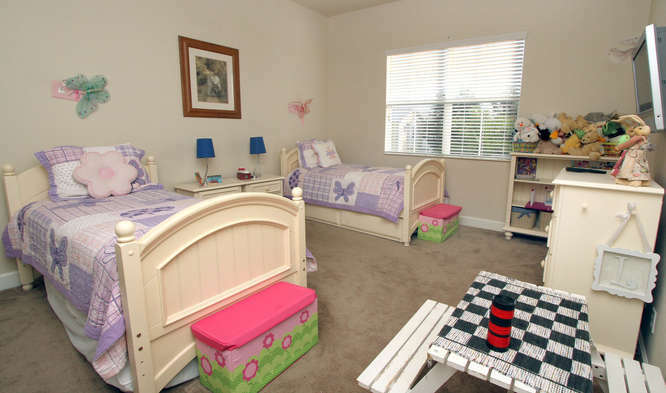 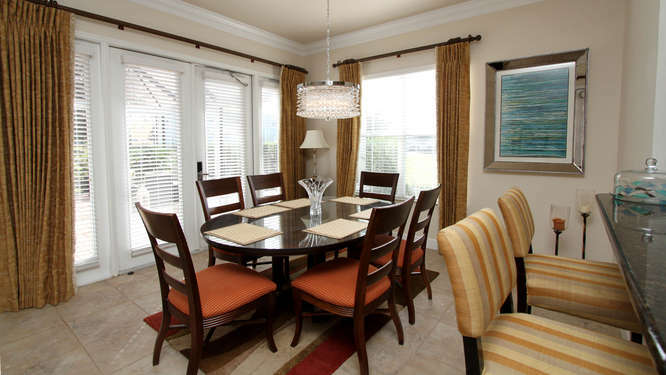 4 Bedroom Villa On Reunion Resort - NO POOL .....Perfect for families that are in search of a great family villa with everything you need for a 'home from home' experience in the Disney Parks area of Kissimmee. 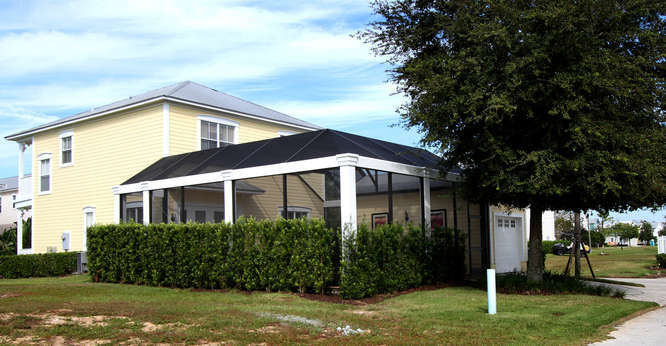 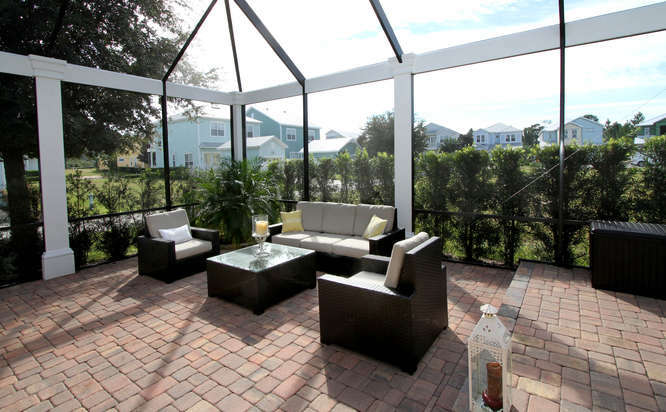 With a spacious screened rear patio area, this lovely home is perfect for guests that prefer a relaxing screened area, than a pool, making it ideal for guests with younger children that prefer to play outside safely. 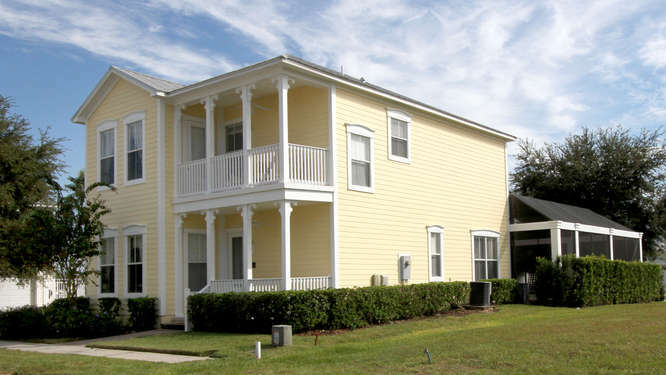 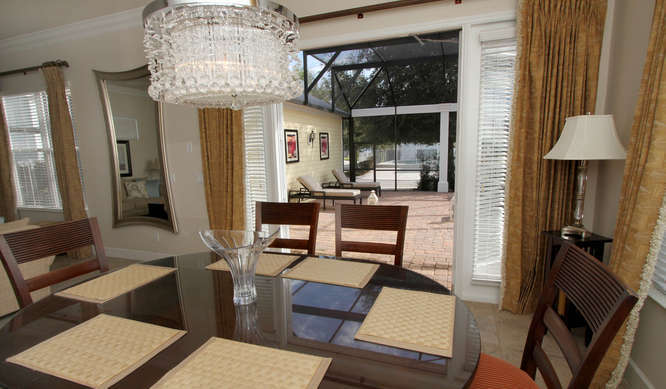 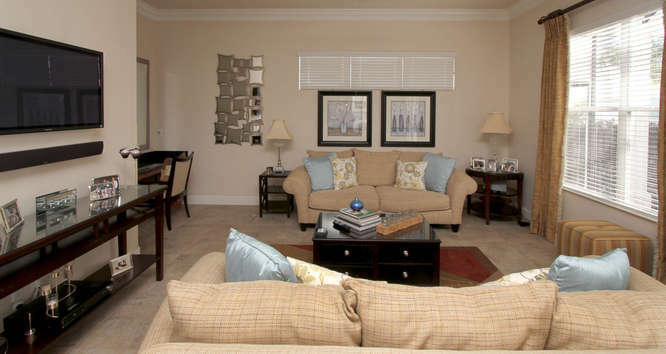 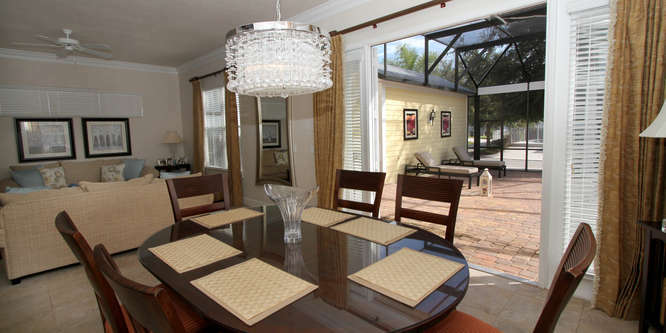 Location The home is situated in the gated luxury community of Reunion Resort, just 12 minutes drive away from Walt Disney World. 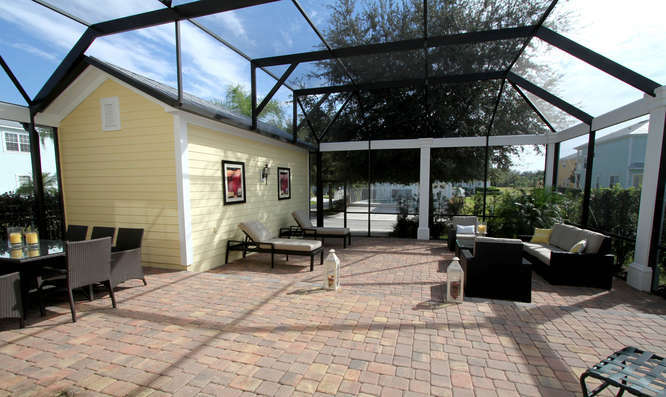 Includes an east facing screened yard. 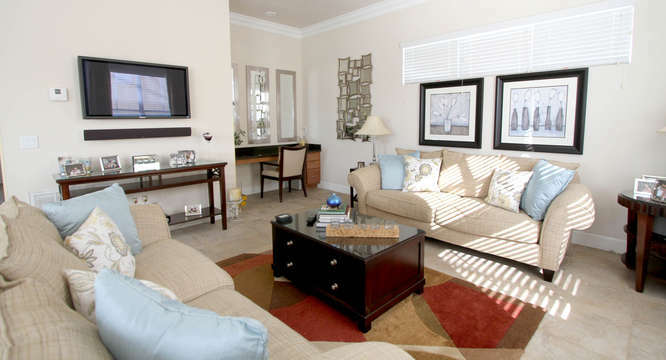 A TV lounge includes wall mounted TV and two comfortable sofas. 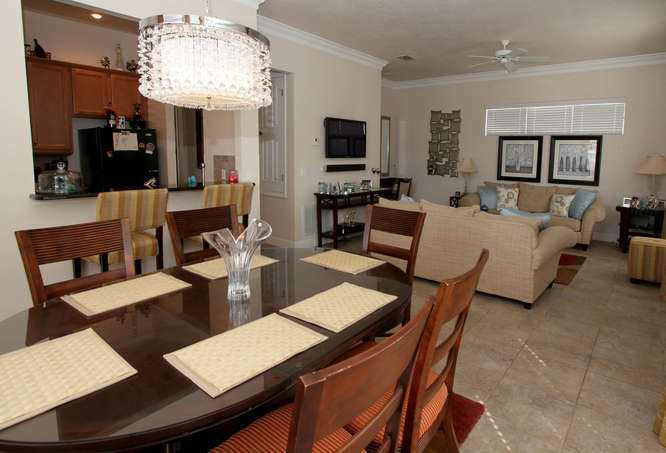 The dining area comprises a 6 seat table plus a nearby 2 seat breakfast bar. 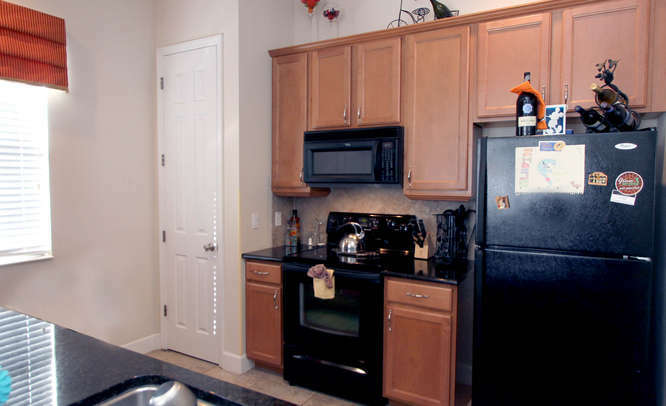 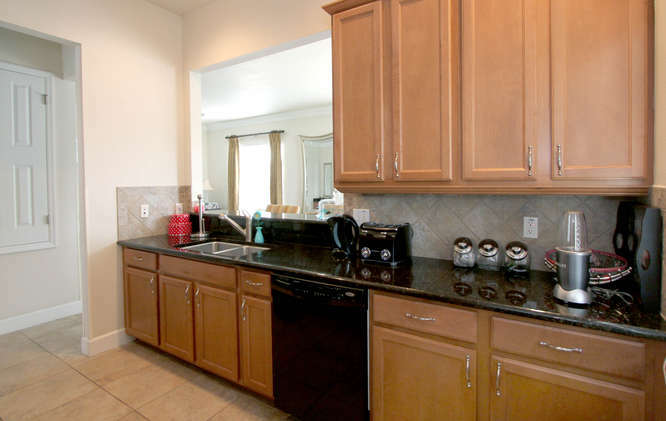 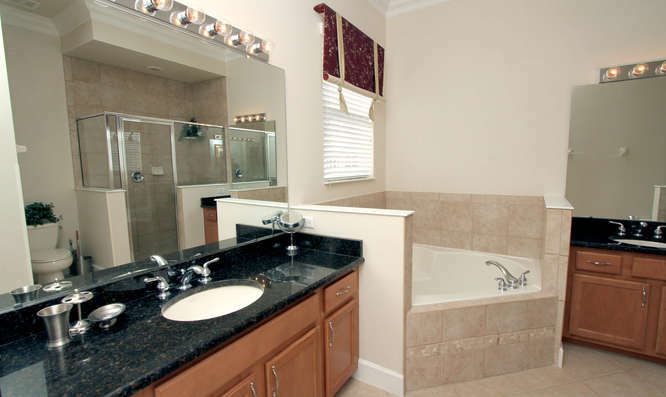 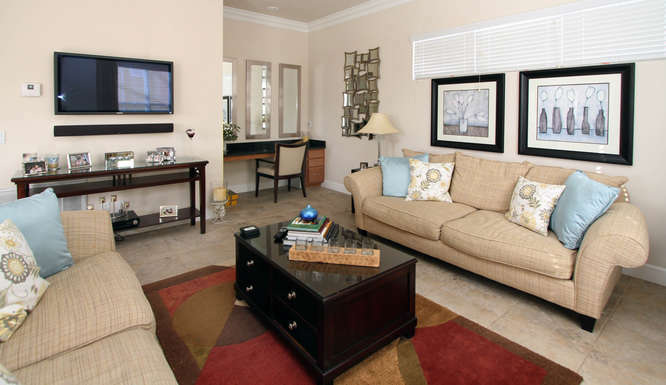 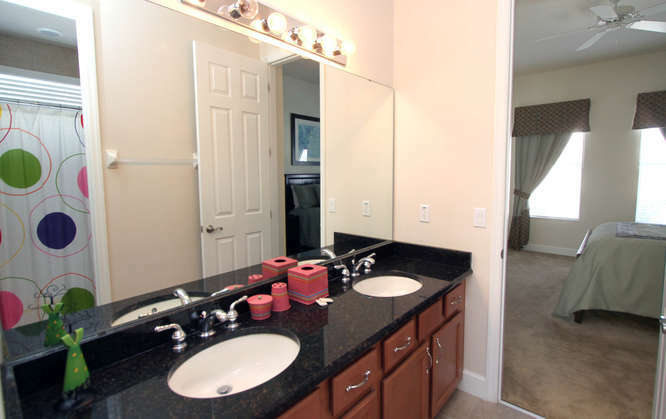 The fully equipped kitchen includes granite surfaces, microwave, electric range, refrigerator, freezer and dishwasher. 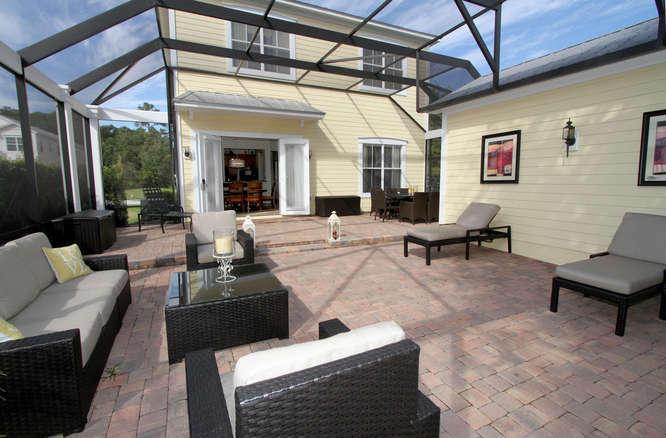 The well sized rear patio area includes an abundance of excellent outdoor furniture for dining, relaxing and sunbathing. 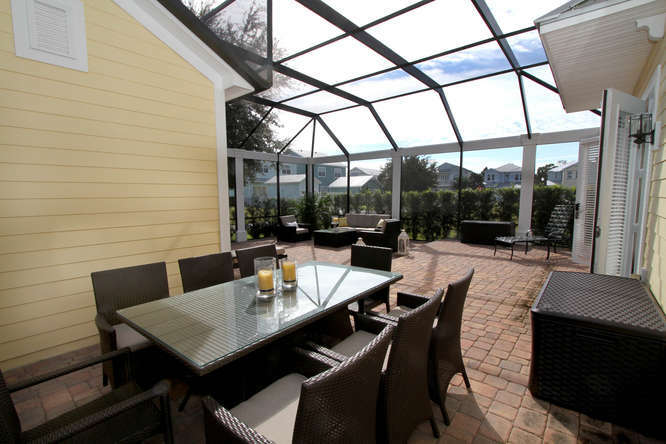 As one of the few screened patios on Reunion Resort, the home offers a great evening of relaxation in the warm Florida air. 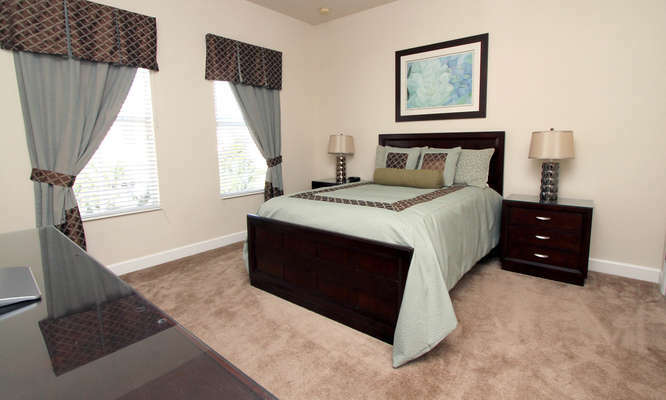 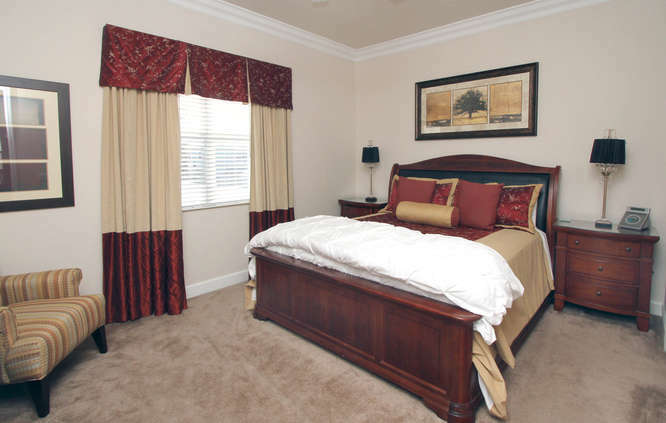 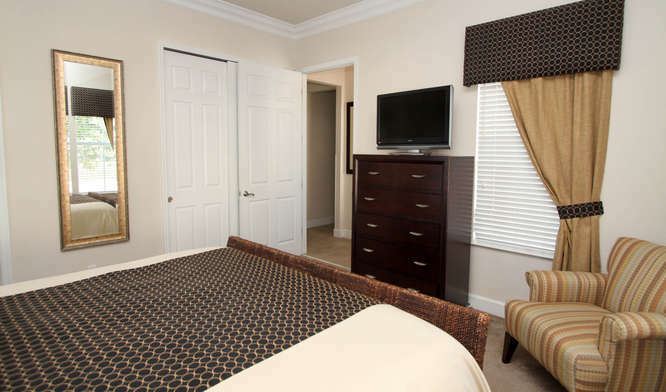 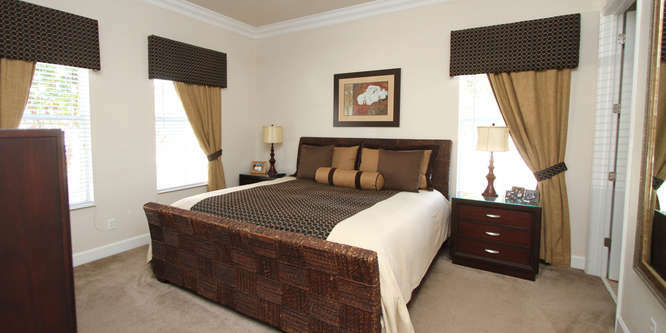 A queen sized bedroom is located to the front of the home's upper floor and includes access to a west facing private balcony that is furnished. 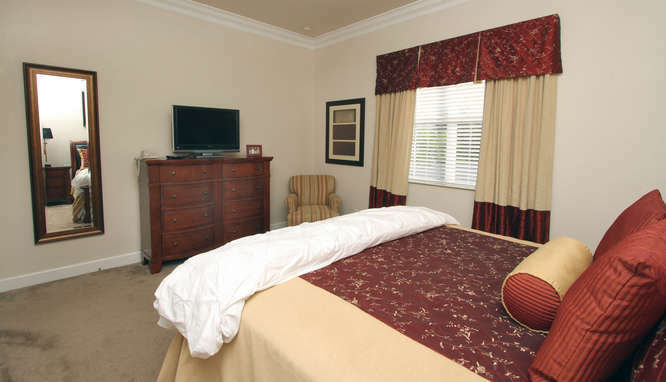 The above bathroom is shared with a room with two twin sized beds. 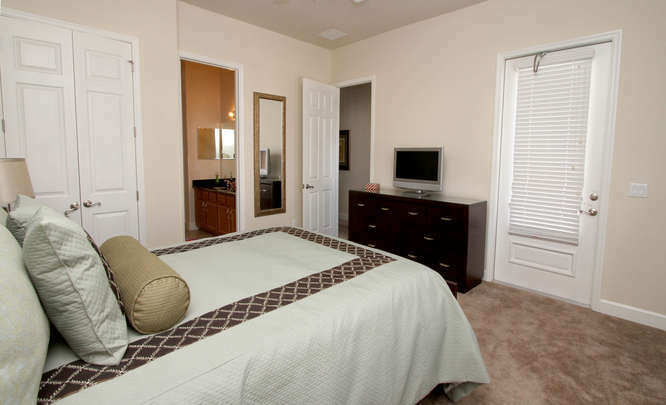 Towards the rear of the upper floor a further king sized bedroom includes shower and corner bath.